Despite the steadily improving popularity of the law, many Americans have so far said they haven’t received benefits. Americans may be warming up to the recently implemented Republican tax law, but many of them haven’t yet noticed its effects in their paycheck. According to a new Morning Consult/Politico survey, 45% of respondents approved of the GOP tax law, while only 35% said they disapproved. That matches recent trends in similar polls showing a steady growth in Americans’ support for the tax code overhaul. And the law is growing in popularity at the same time many Americans say they haven’t yet seen its effects in their paychecks. Among those Americans who did report an increase in their paycheck, the tax cuts seem to be a political winner for the GOP. 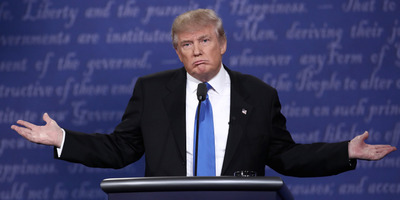 Fifty-eight per cent of people who got a pay bump said the increase would make them more likely to support President Donald Trump, while just 19% said it would make them less likely to support the president. Based on guidance from the Internal Revenue Service, all employers were mandated by February 15 to update the amount of taxes withheld from Americans’ paychecks. The same IRS data estimated 90% of Americans would see an increase in their take home pay after the withholding updates. Another major GOP selling point on the tax bill, one-time bonuses from employers to workers, hasn’t appeared yet to break into the mainstream. According to a Reuters survey released January 29, only 2% of people reported that they received a special payment or bonus as a result of the bill.